Popular Nigerian comedy series Jenifa’s Diary has been renewed for a 15th season. 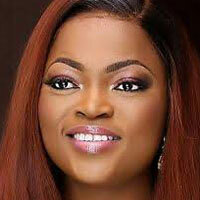 Created by and starring Nigerian actress Funke Akindele, the show centres on a village girl who relocates to the city of Lagos as she attempts to achieve success. The new run will hit screens soon, with production already concluded. It will air on DStv channel 253, IrokoTV, Sceneone TV, GOtv channel 92/192 and StarTimes channel 109. Jenifa’s Diary also stars Falz as Segun, Omotunde Adebowale as Adaku, Tobi Makinde as Timini, Ugwu Jacinta as Kiki and Joy Nice as Pelumi.